Interventions for foot and ankle pathology evolve over time. Keeping current with the latest techniques is sometimes difficult. What works? Does it work for everyone? How can I select the best intervention for my patient? Join colleagues at this 4 hour continuing education program addressing chronic and acute foot and ankle pathology. Dr. Jay Hertel is the Joe H. Gieck Professor of Sports Medicine at the University of Virginia. He directs UVA's graduate programs in Athletic Training & Sports Medicine and is co-director of the Exercise & Sport Injury Lab. His primary area of research deals with lateral ankle instability which he studies from a multifactorial perspective using diverse methods ranging from laboratory-based assessments of biomechanics and motor control to evidence-based practice principles inherent to clinical epidemiology. Dr. Hertel has authored or co-authored over 150 peer-reviewed journal articles and presented at numerous national and international sports medicine conferences. His research has been funded by agencies such as the National Institutes of Health, National Athletic Trainers' Association, Research & Education Foundation, American Physical Therapy Association, and the National Football League Charities. Dr. Hertel is a fellow of both the American College of Sports Medicine and the National Athletic Trainers' Association. In 2011, he received the Medal for Distinguished Athletic Training Research, the highest career research award in athletic training. Dr. Hertel is a senior associate editor for the Journal of Athletic Training and a member of the international advisory board for Physical Therapy in Sport. Develop rehabilitation progressions for intrinsic foot muscles. Identify appropriate patient reported outcome measures for your practice. This program is intended for athletic trainers, physical therapists, and other healthcare professionals. Saint Louis University, Dept. 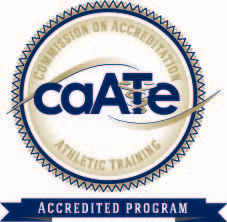 of PT and Athletic Training (BOC AP# P3877) is approved by the Board of Certification, Inc. to provide continuing education to Athletic Trainers. This program is eligible for a maximum of 4 EBP Category hours/CEUs. A full refund of the conference registration fees will be made for requests received by April 19, 2018. No refunds will be processed after November 19, 2018. In the event a program is cancelled, participants are entitled to a full refund. All refund requests must be sent in writing (postal or email) to, and received by Kitty Newsham at Saint Louis University’ 3437 Caroline Mall, St Louis, MO 63104 or knewsham@slu.edu). Refunds approved by November 19, 2018, will be issued to the original payer in the same amount as the payment received. South on Grand from I-64/40 or North on Grand from I-44. Turn East on Chouteau to South on Theresa. Garage parking is accessible from Theresa or Rutgers Ave.
Hickory East Garage: 3424 Hickory St.